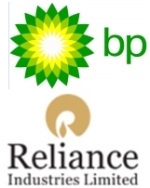 édité le 23/04/2018 - Plus de news de "BP" - Voir la fiche entreprise de "BP"
RIL is the first private sector company from India to feature in Fortune’s Global 500 list of ‘World’s Largest Corporations’ – currently ranking 203rd in terms of revenues, and 110th in terms of profits. The company stands 106th in the ‘Forbes Global 2000’ rankings for 2017 – the top-most among Indian companies. It ranks amongst LinkedIn’s ‘Top Companies Where India Wants to Work Now’ (2018). RIL’s activities span hydrocarbon exploration and production, petroleum refining and marketing, petrochemicals, retail and 4G digital services.